This is the LO I taught yesterday for Karen Rogers’ WOW paperKrafters team at her place. First of all she put Jenn and I up for the night..gave me wine and Icecream (not together) and then before my class in the morning…cooked us blueberry pancakes for brekkie..yum! Some sort of scrapbooker I am ..but I forgot to take photos!! Laugh! This layout was using white space, circle scissors, background stamps, distressing, sponging, stamping, rubons and layering. The Big shot got a workout with the timeless type Sizzlit alphabet. The photo is of our daughter when she was nearly 4 and we didnt yet have her ballet leotard so she wore her togs and tutu instead! Thanks Karen for asking me along to teach your team! I’ll be back for more pancakes anytime you ask lol! Wow! Delys, your mojo is in full swing at the moment! 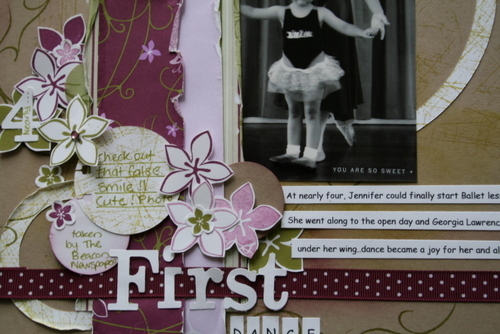 Great scrapbooking examples over the last few days. actually its not Bron as Im having a card block at the moment! 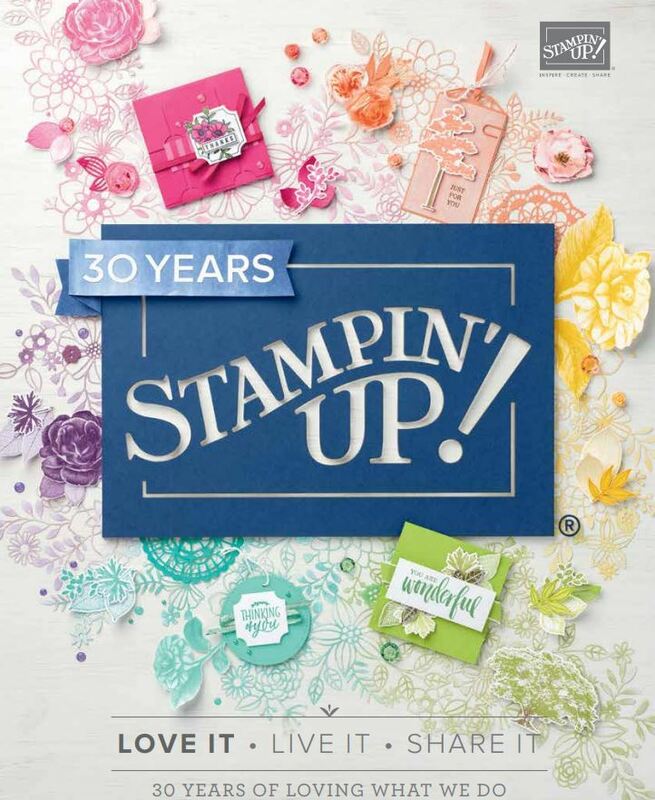 Fabulous layout Delys … it’s so good to see those lovely Stampin Up products being used well on layouts and not just cards. WOW indeed Delys – this layout is just absolutely sensational. One of the nicest layouts I have seen using this paper. Love how you made it all vintage! !